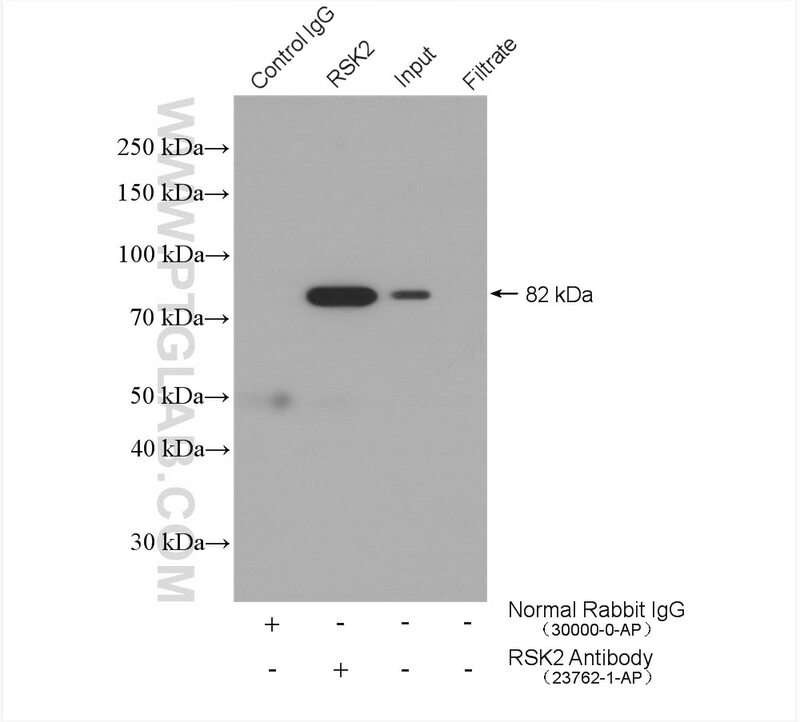 RPS6KA3(Ribosomal protein S6 kinase alpha-3) is also named as ISPK1, MAPKAPK1B, RSK2 and belongs to the protein kinase superfamily. 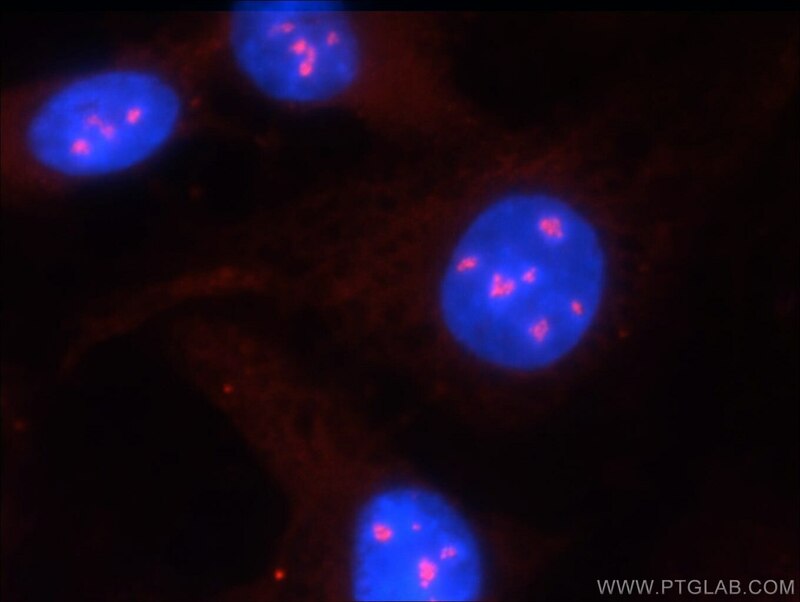 It localizes at the kinetochores under spindle checkpoint conditions, and during mitosis, associated with the centrosomes, the spindle and at the mid-body(PMID:20383198). 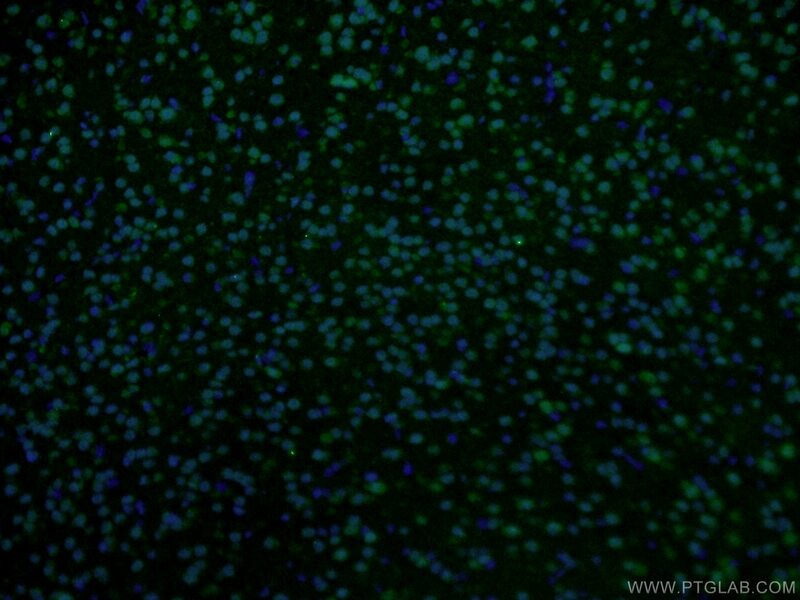 It is required for epidermal growth factor activated phosphorylation of histone H3, which may cause chromatin remodeling and facilitate gene transcription and maybe playing an essential regulatory role in protein synthesis during cell proliferation. 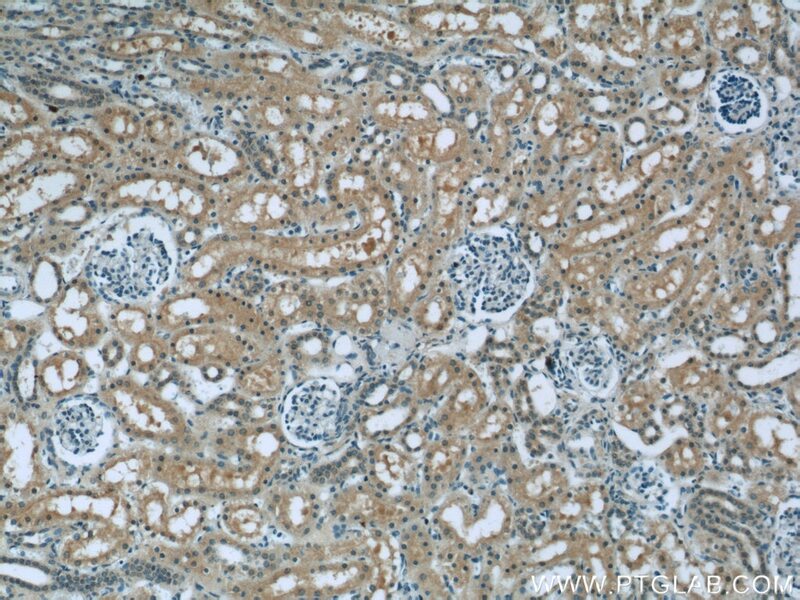 MicroRNA181c inhibits prostate cancer cell growth and invasion by targeting multiple ERK signaling pathway components. 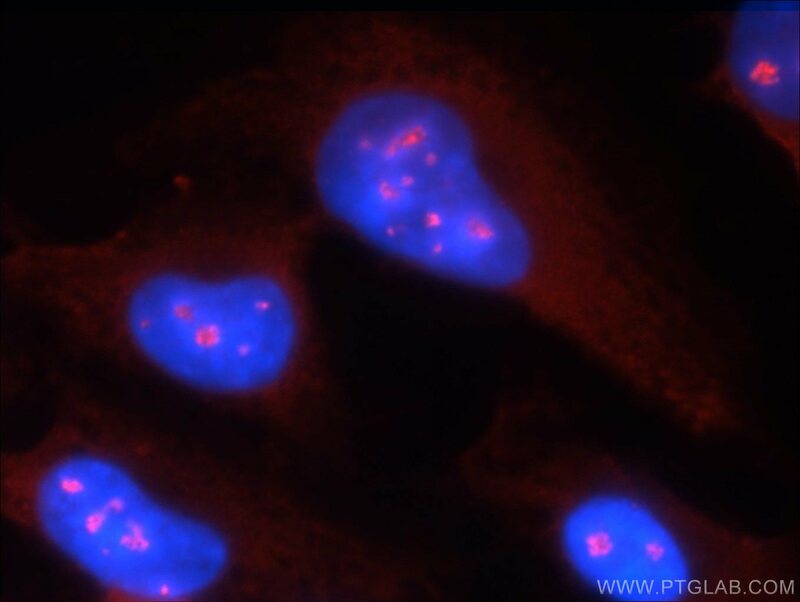 β-Trcp ubiquitin ligase and RSK2 kinase-mediated degradation of FOXN2 promotes tumorigenesis and radioresistance in lung cancer. 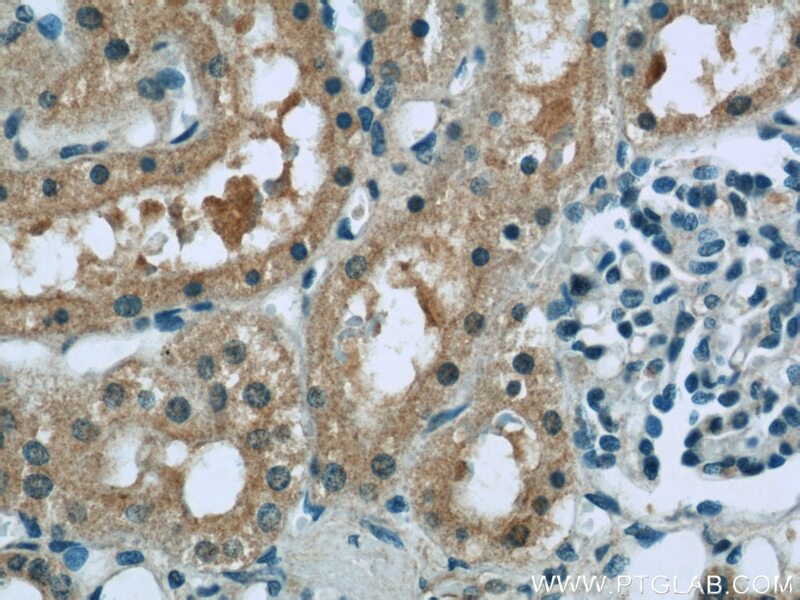 S6K1 phosphorylation-dependent degradation of Mxi1 by β-Trcp ubiquitin ligase promotes Myc activation and radioresistance in lung cancer. 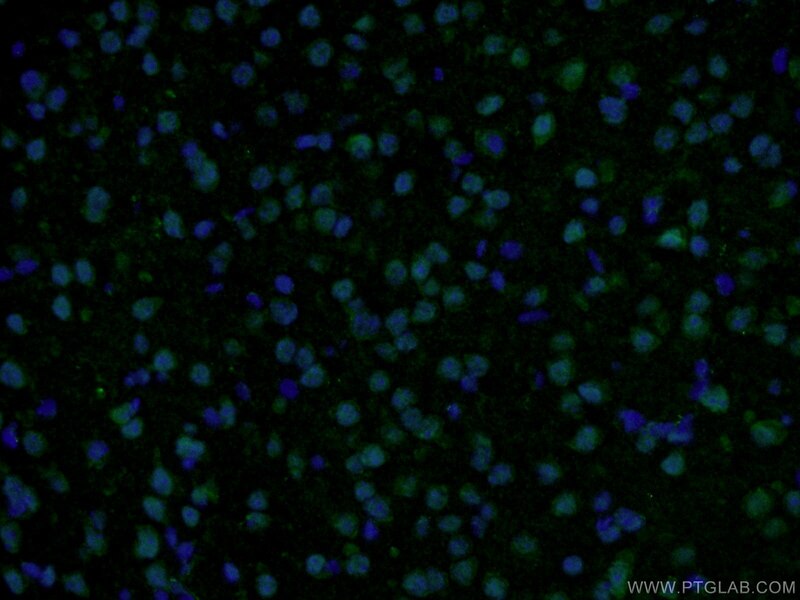 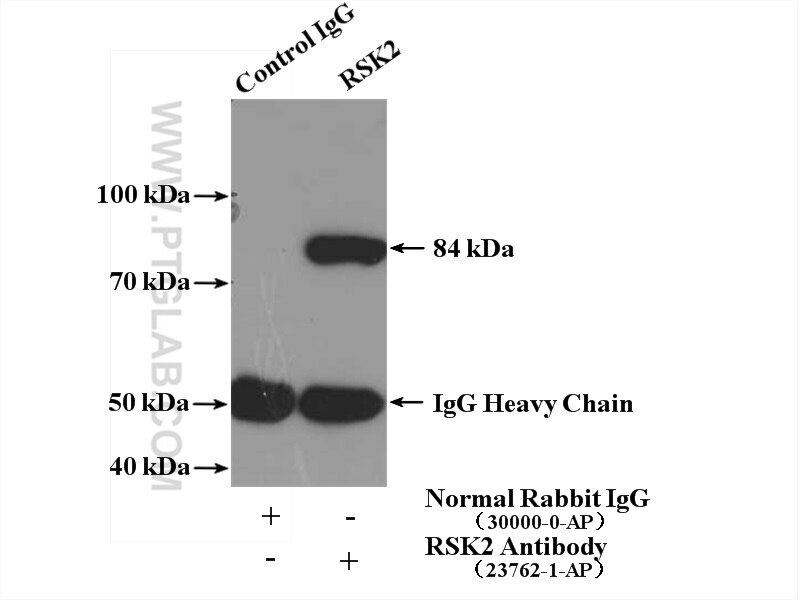 IP Result of anti-RSK2 (IP:23762-1-AP, 4ug; Detection:23762-1-AP 1:1000) with K-562 cells lysate 4000ug.